General Rodolfo Fierro: The Deadliest Man in Mexico. Perhaps the deadliest individual in the whole bullet-riddled, blood-soaked epoch was General Rodolfo Fierro — Villa’s bodyguard, railroad operator and deputy commander. Mexicans are fond of hanging nicknames on dangerous men and Fierro’s handle was as descriptive as they come: El Carnicero — The Butcher. Tales abound of Fierro’s hair-trigger willingness to kill — in battle or in cold blood. He would have been perfectly at home as a modern sicario, a cartel enforcer and gun thug. It’s hard to separate legend from fact in particular incidents. Perhaps the most famous legend of El Carnicero comes from Martin Guzman’s novel “El águila y la serpiente.” Fierro allegedly shot some 200 Federal prisoners in a corral in Juarez, using relays of pistols and giving each man the chance to escape over the corral wall into the desert. The clip below, from “Villa Rides!” (1968) depicts the corral executions (00:31 seconds in). A suitably sinister Charles Bronson portrayed Fierro. It’s a hell of a story and it’s been repeated as fact by several historians. But Guzman, an intellectual sometime supporter of Villa, was writing fiction and this tale is probably legend. So too, probably, is the story of Fierro shooting a man in the head to settle a bet as to which way the man would fall. Thing is, these tales caught on because no one doubted for a second that Fierro was capable of such bloody deeds. He killed plenty, regardless. Fierro was working on the railroad when he was captured by Villa’s compadre Tomas Urbina and joined the revolutionaries in 1913. For a time Villa had him running his railroad operations when Fierro shot an engineer for bringing in a train late and another man for bumping into him on the platform. Villa removed him from that post and promised an investigation and a trial, but that was probably just to mollify the critical — and outraged — railroad workers. Villa wasn’t about to throw his loyal killer under the wheels. Photographs show Fierro ever at his Chief’s side — in a victory parade down the streets of Mexico City, in the Presidential Palace, at a meeting with American General Hugh Scott. 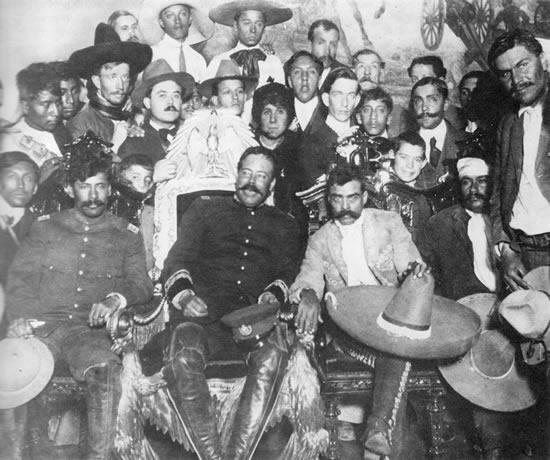 Fierro is at the right of the frame as Villa and Zapata sit for a photographer in Mexico’s presidential palace. For, whatever his sociopathic tendencies, Fierro was a brave and resourceful fighting man. 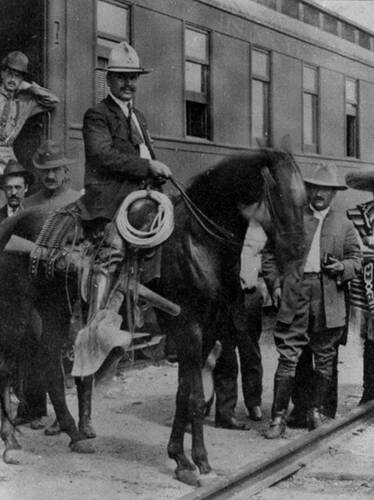 In the battle of Tierra Blanca in 1913, when Federal forces marched north to destroy Pancho Villa’s growing Division del Norte, Fierro loaded a train with explosives and rammed it into a Federal troop train, creating a massive and cinematic explosion and sowing panic among the Federals. In another moment worthy of a Sam Peckinpah Western, Fierro rode down an escaping Federal train, jumped aboard and shot the engineer, pitched him off the train and brought the train to a halt. The Villistas then slaughtered the fleeing Federal soldiers, sealing a crushing victory. El Carnicero is associated with another killing that caused an international incident. William Benton, a Scottish cattle rancher, braced Villa in the general’s railroad car for confiscating his cattle. Heated words were exchanged and something very bad happened to the British national. Either Villa shot him outright or Fierro did — or Fierro restrained Benton and took him out into the desert and beat him to death with a shovel. Accounts vary. But the British raised an almighty stink through American diplomatic channels, and the incident caused some American supporters of Villa to step back. Villa understood loyalty and prized it above all other virtues. He knew that when the intellectuals and middle class folk who supported his movement fell away, Fierro would still have his back. So Villa shielded Fierro from any repercussions for his murderous actions. 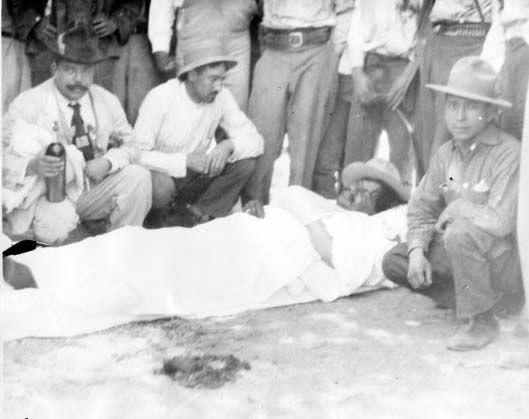 And Fierro did remain loyal, even as Villas star fell after bloody defeats at Celaya and Leon in Spring, 1915. After these defeats, in an act of defiance more than strategic necessity, Fierro led a lighting cavalry raid out of the north all the way to the outskirts of Mexico City. It was a cavalry action as magnificent as anything perpetrated by Nathan Bedford Forrest or Grierson’s Union Cavalry raid in the American Civil War. He may have been a sociopathic killer, but General Rodolfo Fierro was also an effective guerrilla warrior. And, as reader John Maddox Roberts has noted here, a handsome and charismatic man, as well. His Achilles heel was the very fear he instilled in his own people. He was not loved, as Villa was. Who loves a man who might turn on you at any moment and gun you down just to remind you of who he is? When Fierro’s horse got stuck in quicksand while crossing Lake Guzman in northern Mexico with a contingent headed to link up with Villa in late 1915, his companions let him drown. Stories say they actually taunted him, throwing lariats toward him, just out of his reach. Stories also say El Carnicero was pulled under by the weight of the gold he was carrying to his Chief. So ended the bloody career of General Rodolfo Fierro, the most violent man of a violent time. Rodolfo Fierro features in several of my favorite books. 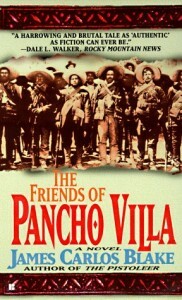 Clifford Irving portrays him as a creepy, possibly repressed-homosexual villain in “Tom Mix and Pancho Villa.” James Carlos Blake — ever willing to take the part of the dark angels of history — has him narrate his own tale in “The Friends of Pancho Villa,” which is a bloody masterpiece and my favorite book by this favorite author. Fierro is an all-too-real ghost out of the past in Craig McDonald’s “Head Games.” I recommend all three books most highly. 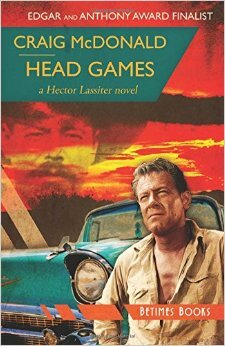 The conceit in both “The Friends of Pancho Villa” and “Head Games” is that Fierro did not really die in Lake Guzman. Viva El Carnicero!? Meat-maker. Kinda chilling, ain’t it? Back in the ’70s I took a college course in Latin American history. In one class the professor said that in the Latin American “republics,” (read: dictatorships) it was traditional practice for the bossman to have a second-in-command who was even worse than he was. That way, he hoped that people would be afraid to assassinate him for fear of his subordinate taking over. He said that Fidel Castro had the Cubans cowed with little brother Raul’s fearsome reputation. 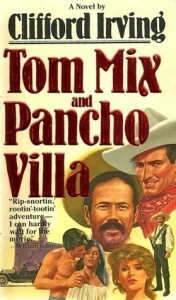 I suspect Fierro filled that role for Pancho. I think that’s right. The bad No. 2 also allows the jefe to appear more merciful and lovable both by contrast and by No. 2 handling the dirty work. Fantastic article. Fierro is at the right of the frame as Villa and Zapata sit for a photographer in Mexico’s presidential palace–photo is wonderful! Makes you almost want to join the Revolution! Don’t forget El Paso in the list of books, albeit fiction. Hi. I’m from México. I live in Culiacán, land of crime guys, but brave men. I recommend also “La muerte de David Berlanga” (the death of David Berlanga) from “El águila y la serpiente” (the Eagle and the Serpent), beatiful story about Fierro, about his goodness. Thanks for stopping by the campfire Genaro. 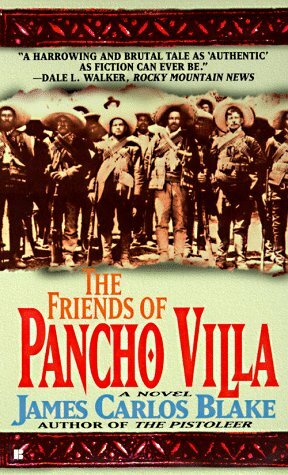 James Carlos Blake also recreated that event in The Friends of Pancho Villa. Excellent recommendation. Thanks to you. Great web page!!! I will explore it more. Greetings from Culiacán, Sinaloa. Fierro: originating from Sinaloa. So he did. Thanks for the kind word. Glad to have you here.